It can be distressing when our dog stops eating and continually refuses their food. Before long we start to panic and try and tempt them with goodies from our own plate. Whilst understandable it’s probably not going to help and may actually end up making matters worse. Every dog is different. Some will enthusiastically guzzle down anything we put in front of them and would happily eat until they explode while others may have more discerning tastes. Some dogs will eat a couple of times a day, others only once and some may skip meals occasionally as part of their normal behaviour so before you panic it’s important to look at what’s happening in the context of the individual dogs normal behaviour. 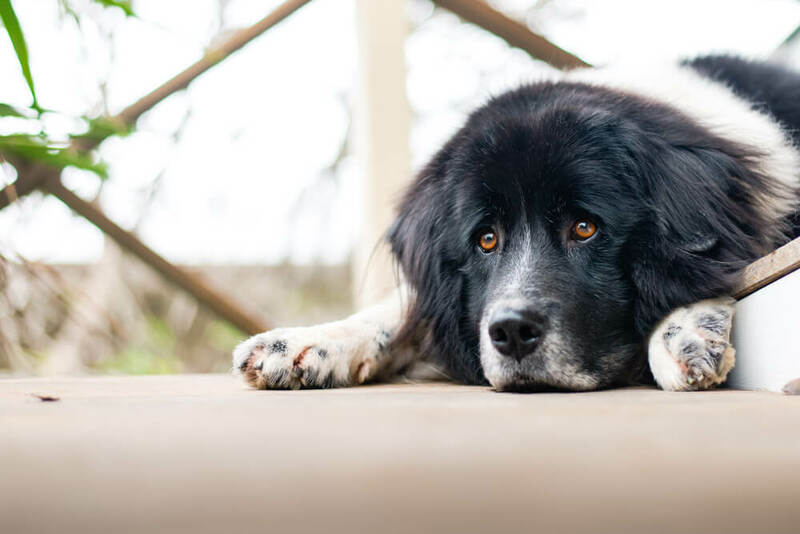 The first thing you need to do is establish if there is a medical reason for the change in behaviour so the best idea is to take your dog to your svet, especially if the loss of appetite is also accompanied by other symptoms such as diarrhoea, fever, lethargy and/or vomiting. There are many illnesses or infections which could be responsible for this and waiting to see what happens could risk your dog. Also consider whether your dog is in heat or if you have a male dog is there a dog in heat nearby – both can cause loss of appetite but are quite normal. Assuming your vet can’t find any medical explanation for the loss of appetite it may be that your dog is being over-fed. Check with other family members to see if anyone is giving the dog extra treats that you are not aware of. Often dogs will eat what they need and stop so it may just be that your dog feels satisfied and does not require the number of calories or volume of food you think he or she needs. If your dog is maintaining healthy body weight, you may have simply overestimated their calorie requirements. Loss of appetite in this instance is often less about the dog and more about the owner. When your dog knows that if they don’t eat what’s given to them, they will quickly receive something much tastier like part of your Sunday Roast, then they will hold out! Dogs are clever and will soon learn that not eating their food can lead to much more interesting goodies. This behaviour is encouraged when the owner offers another type of food soon after the dog refuses the food in their bowl. The dog is essentially being rewarded for refusing their food, thus elevating his position in the pack and if he refuses again and again, that position is assured. Your dog becomes the boss. If you suspect that your dog is wrapping you around their little paw and playing the ‘food game’, a simple intervention can quickly curb this unwanted behaviour. Put their normal food in their bowl on the floor and walk away, leaving your dog alone while the food is down. After fifteen minutes have passed remove the food bowl without fuss. Don’t offer anything else – just set the bowl aside and give it whenever the next meal is due. Don’t add any extras to entice your dog to eat it, although you may want to add a little warm water to bring the food to room temperature, since most dogs don’t like very cold food. As long as your dog has access to plenty fresh water; a healthy dog can easily go without a meal or two. Dogs often have an uncanny intuitive instinct or 6th sense about all sorts of things including food. Often dogs will refuse foods that will upset their bodies. If you have changed the food you give your dog or added a new ingredient to the diet, and your dog refuses to eat, try removing the newest addition or going back to the old brand.